Trick or treat, give me something good to eat. If you don't, I don't care, I'll pull down your underwear! JK, I wouldn't actually pull down your underwear. And in terms of this Halloween, you're ringing my doorbell coming here. Thanks for following Patricia's blog hop! I hope you all are having a good day; enjoying the Fall weather, munching on a Reese's pumpkin, showing off your costume. And now you can enjoy the candy I'm giving to you - a free book! 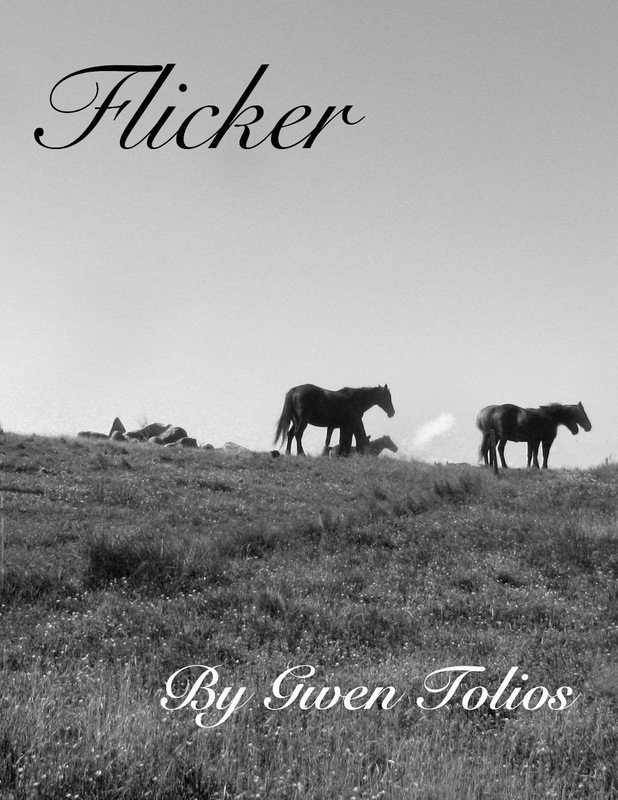 For Halloween only, my ghost story Flicker is free on Amazon. Living a a rural Wisconsin farm, Cydelle gets lonely and wants someone other than her annoying brother to talk to. Seeing ghosts helps, but ghost horses aren't known for their conversational skills. Instead, Cydelle decides to visit a local haunted house and what she finds will never have her seek a human ghost again. Don't forget to visit the other participates too! Happy Halloween! You said ghost story, so I was there like a shot - I love a good spooky tale. *downloads* Many thanks. There's some spooky free fiction on both blogs I've linked below if you're interested. Right, off to the next stop on the hop :) My pumpkin basket is getting full! Don't you just love full pumpkin baskets? Thanks for the links! Who doesn't? And this is the perfect time of year for it too. Stopping by for the Trick or Treat blog hop! I picked up your book. Sounds like a great read for Halloween! I totally one-clicked it. Thanks so much for the awesome Halloween goody! Can't wait to read it. Thanks for the Halloween treat! I downloaded your book and look forward to reading it! Couldn't make it over for the 31st, but had to stop by and say hi. Better late than never. Even though you missed it, thanks for stopping by! I'm here late too, but I know the people who clicked for the treat will enjoy your writing! Today I'm baking an apple pie and watching football, and in a minute I'm going to put some words up for NaNoWriMo. Happy Fall! Gah, it's the first day and I'm already behind for NaNo. But that's okay, I'm taking it super easy this year.